Aigner, BCBGMAXAZRIA, French Connection, and Tang + Co are having up to 70% off for their year-end sales! Aigner AG is a fashion house based in Munich, Germany, that specializes in high-end leathergoods handbags, luggage, and male and female apparel. BCBGMAXAZRIA is a contemporary women’s clothing brand, founded by French fashion designer Max Azria. Get the latest dresses, skirts and tops now. 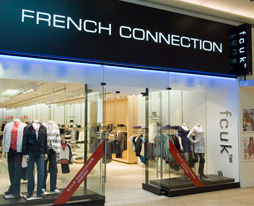 Find the latest fashion at French Connection, selling designer womens appearel, mens apparel and accessories. For the modern fashion elite who expects more: more from fashion, more from shopping, more from life – TANG+Co is set in a new concept lifestyle boutique environment, offering a comprehensive range of fashion merchandise that promises new luxury and quality. To be informed of deals exclusively available to our members click here! day. You cann’t imagine simply how much time I had spent for this information! Visit Hotels in Chaoyangresort specialslast second inn hotel deals. skills as well as with the layout on your weblog. Visit Netherlandsmotel specialslodge discountslast second lodge motel discounts. a few of the comments look like they are left by brain dead visitors? Here are Some Other Great Deals We Have!